Adi Toch’s ‘Wide Open’ which was commissioned by P&O Makower for National Museum of Wales two years ago is on loan for the exhibition Silver: Light and Shade at Holburne Museum, Bath. It is displayed amongst pieces by Michael Rowe and Alistair McCallum as well as superb historical works exploring different approaches to silver. The exhibition is on until 22nd January 2017. 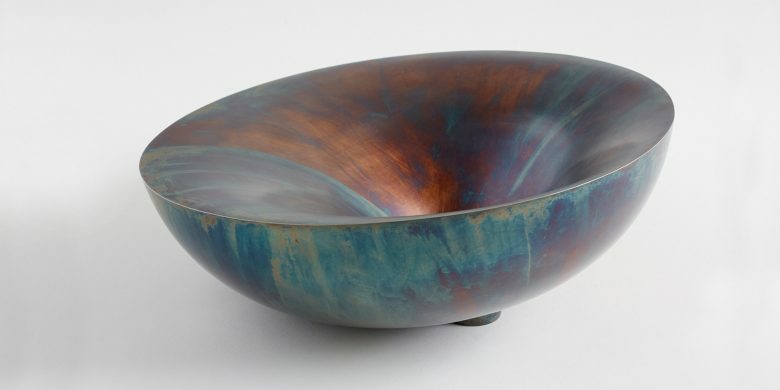 Adi Toch participated in an event at the Fitzwilliam Museum last month celebrating the new publication for The Goodison Collection, written by Amanda Game and featuring her piece Reflection Bowl, which was purchased for the museum in 2012. In January her work will be exhibited at Artgenève, Salon D`Art, which takes place from 26-29 January, with Taste Contemporary Craft. COLLECT 2017, Saatchi Gallery, London, 2- 6 February – Adi will be represented by Contemporary Applied Arts for Collect Showcase – a new platform spotlighting innovative new work. And will also show some work with Bishopsland’s Masters of Today: Masters of Tomorrow.